Silhouette vs. Color: How Should You Be Organizing Your Custom Closet? Have you been organizing your closet all wrong? Plenty of fashion gurus swear by sorting their closet according to color, but some designers say this isn’t the most efficient way to get custom closets in order. Which is right for you? When it comes down to it, the best mode of organization is the one that makes your life easier. That is to say: There is no one right or wrong way to get your stuff in order, but it’s wise to explore all of your options. Let’s look at the case for sorting by silhouette versus keeping things color coded. As professional stylist Amy Salinger explained to CNN, most people don’t wake up each morning and feel like wearing a certain color. Instead, you probably dress for the environment you’re headed into. If it’s a casual day, you’ll want to start shopping your closet for t-shirts and if you’re on your way to work you may want to have quick access to all of your A-line skirts. The argument for organizing by silhouette is a strong one. If it’s raining, you can get to your sweater collection more swiftly if they’re all hanging together. When you sort by color, you’ll have to browse each section looking for a patch of cable knit. If you still love the visual appeal of color coordination, you can always sort items by hue within their silhouette so your space is both efficient and aesthetically pleasing. Some die-hard color coders will always prefer to sort their stuff by hue – it just looks so pretty. But this closet management strategy can also make sense for other folks. 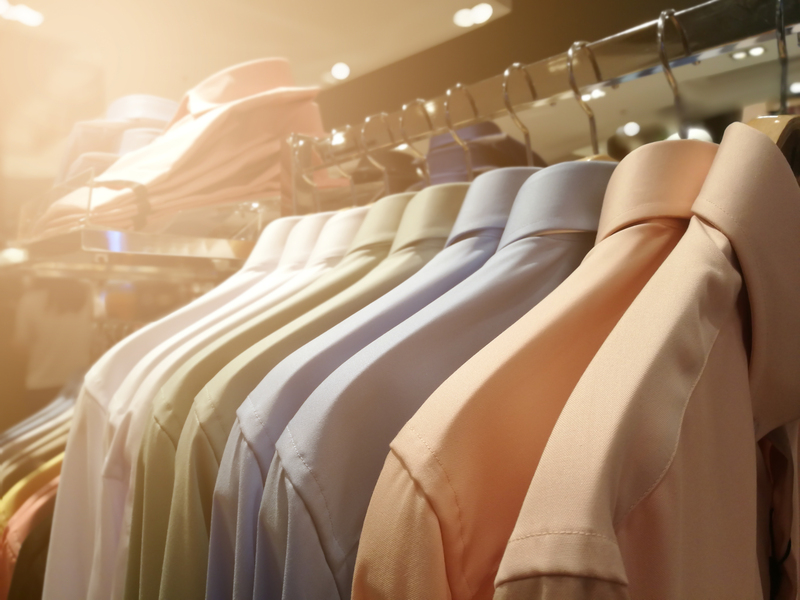 If you know your wardrobe well, you probably tend to have an item in mind by the time you head into your custom closet. Heading to the right color section could be just as easy for you as looking for the item’s silhouette. Some experts, like The Organized Move founder Andrea Rapke, say that the key to good organizing is putting things in order by type and then focusing on color over everything else. For instance, while a silhouette enthusiast would say that all dresses should be sorted by length, Rapke says you should ignore the silhouette and put all dresses in order of color alone. Cosmopolitan recommends choosing a few “greatest hits” articles of clothing and then sorting them by color in your closet for easy access. So, how should you sort your closet after today? Take a moment to think about how you go shopping for looks in your closet. If you wake up in the morning and think “It’s sunny outside and I want to wear something bright and playful,” a color-based system may be up your alley. If you tend to choose your clothes based on more functional needs, then stick to a silhouette sorting game. Your closet is yours for personalizing!